Keep your hunting gear lenses clean, clear and fog free with KleerVu. Keep your ski goggles clean, clear and fog free with KleerVu. 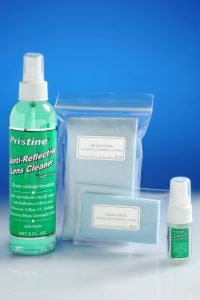 Cleans and removes smudges and oily film from your anti-glare glasses and sun glasses. Keep your paintball (and other) masks clean, clear and fog free with KleerVu! Kleen Touch and Kleer Touch remove dust, smudges, and fingerprints safely and effectively for all flat screens and touch screens. 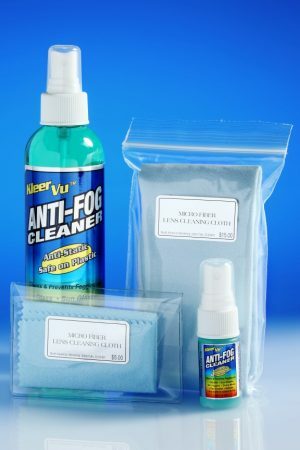 Keep safety glasses clean, clear, and fog free with KleerVu. Keep your welding helmet from fogging up and remove the smokey film with KleerVu. Cleans and Restores Sparkle, Shine and Brilliance back to all jewelry. Safe on all stones including opals and pearls. 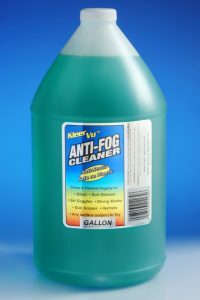 KleerVu Anti-Fog Spray Cleaner: It Works Where Others Fail! 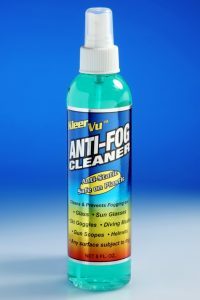 KleerVu is the manufacturer of the worlds greatest Anti-Fog Spray Cleaner and other Superior Products. Contact us with any questions! Our complete KleerVu Cleaning kit ensures whether you are on the road, on the paintball field, traveling, biking, backpacking, hunting or at home, all your anti-for anti-static cleaning needs will be covered!